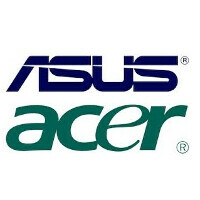 ASUS and Acer to ship 1million, 1.5 million smartphones respectively in 2013? A published report on Wednesday cites "market watchers" for forecasts on smartphone production for both ASUS and Acer for 2013. The report says that ASUS will wind up 2013 with 1 million smartphone units shipped. With its new ASUS Padfone Infinity having launched in the second quarter of this year, and some high-end models coming next month and the following month, the company hopes to match last year's total of 1 million ASUS Padfone 2 models shipped. If the company can produce the 1 million smartphones in 2013, it is looking for the division to hit breakeven with its operations in the second half of the year. ASUS chairman Jonney Shih earlier this year said that one of the company's goals for 2014 is to start shipping handsets to the U.S.market. However, with the number of phones it can ship limited by low manufacturing output, ASUS might find it hard to attract a U.S. carrier willing to add the company's smartphones to its lineup. While ASUS is concentrating on upscale models, Acer is looking to swim in the low-end of the smartphone swimming pool. The Acer Liquid S1 does offer a 5.7 inch screen and a quad-core MediaTek processor. Priced at NT$12,900 ($431 USD), the phone should sell well in Taiwan but has nothing to offer that would put it above the competition in Europe, the U.S. and in some emerging markets. According to the same market watchers that expect ASUS to ship 1 million units for the year, Acer should ship 1.5 million smartphones for 2013 and break even in 2014. To show you what ASUS and Acer are up against, in China the top four handset manufacturers each shipped at least 10 million units in the second quarter alone. And that doesn't account for huge global powerhouses in the industry like Apple, Samsung, LG and HTC. In the second quarter, Korean based Samsung shipped a whopping 70 million smartphone units accounting for 30% of global shipments.